This is something I am thinking about since some time now. I like the proposed ideas. 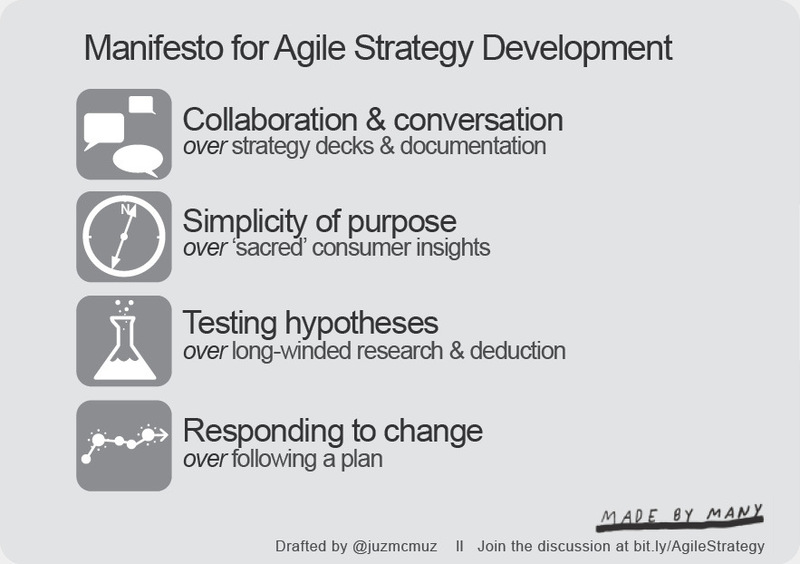 I expect to write some blog posts about agile strategy and agile management in the future. It’s a lot easier to find a market that will respect and pay for the work you can do. Technology companies have been running this race for years. Now, all of us must. If Wal-Mart or some cultural shift has turned what you do into a commodity, don’t argue. Find a new place before the competition does. It’s not easy or fair, but it’s true. You bet your life. For businesses in niche markets this is somewhat different. However, it applies to your market and if your niche market shifts then you are in trouble. But there is a great chance that a new niche market with new opportunities will come up.